Everyone in the automotive sector knows that vehicle recalls are a real headache. Volkswagen’s “DieselGate” recall might be the most famous, but Chrysler’s recall of nearly 907,000 vehicles for failing alternators and heated power mirror wiring (which caused minor fires), pushed the total number of U.S. automotive recalls in 2014 to 544, affecting a record number of 52 million vehicles. These days, if there’s a problem, automakers have to recall cars more quickly in order to avoid fines similar to the $35 million penalty handed out to General Motors for its slow response to an ignition switch recall of more than 2.6 million older cars. But the issue of ensuring that every customer sees the product recall announcements can be incredibly complex. 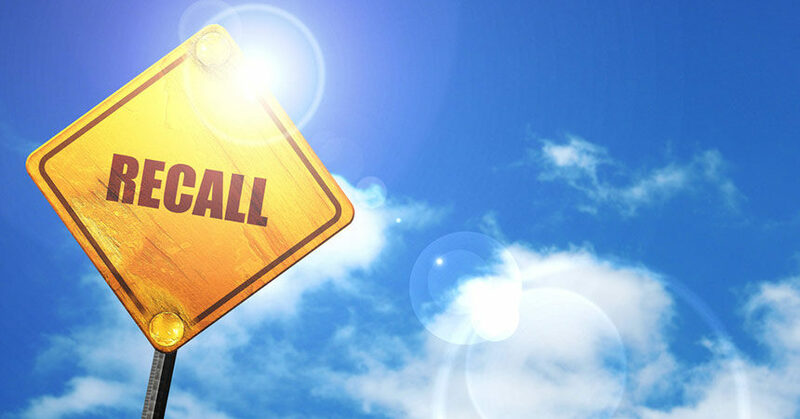 Although some in the industry have called for a single, centralized list of all recalls, brands still have to rely on a certain degree of luck to allow them to reach their customer base. It doesn’t need to be this way, however. Automotive brands have the necessary data—they just need to better understand how it can be utilized. To address the recall challenge, brands need to start with multiple data sources for more accurate user targeting. Data sources such as vehicle ownership registers, finance details, and advanced zip code targeting should be mixed with real-time data, which retargets people who have visited sections of an automaker’s website or used a particular keyword search relating to information about the brand or recall. From registered addresses and zip code data, localized geotargeting can be optimized so that areas with a high probability of customers that own an affected vehicle can be reached with greater accuracy, using targeted advertisements delivered across different digital touch points. In the United Kingdom, for example, our company has an always-on data integration with the DVLA vehicle registration agency to target and optimize to a range of ownership data points including brand, model, age of vehicle, age of ownership, fuel type, and CO2 emissions. The efficiency of reaching users via this data can be increased by overlaying other targeting parameters such as lifestyle, age, gender, and socioeconomic information. This can be further enhanced via social media sites, according to defined views of owner interests and what they share online. Once all these data points have been established and optimized, automotive brands then need the right creative to ensure their message not only stands out, but collects more valuable data in the process. An interactive recall checker is an example of digital creative that allows a brand to apologize for the recall, capture further data, and then reward consumer loyalty. It would ask for the user’s vehicle identification number, and could then be followed up by a competition for a prize that is targeted to owners affected by a recall. As car manufacturers have discovered—at their expense—the most important element of any recall or issue affecting the safety or performance of vehicles is trust. If consumers feel they’ve been communicated with in an open and honest way, there’s less chance of erosion in brand trust. These first steps to implementing a recall marketing strategy are therefore essential, and require effective and targeted use of multiple data sources, good creative, and an overall campaign-monitoring program. Get it right and consumers are more likely to forgive a brand its mistakes, such as vehicle recalls. Get it wrong, and it could impact your business for years to come. Paul Goad is the founder of dynamic marketing company Crimtan. He started in print media at VNU Business Communications and joined DoubleClick as one of its founder employees in 1997. After five years with the company, Paul moved on to work at 365 Media Group as commercial director, where he built their media network. Paul joined Tacoda in August 2006 as UK MD, and set up its first international office. Just prior to the takeover of Tacoda by AOL, Paul moved to join NebuAd as UK MD in November 2008 before founding Crimtan in September 2009. Dealers generally have a good grasp on their brand. But what about their used car inventory? My company CheckRecalls.com provides a recall notification service for $1 dollar, per year, per vehicle. Our service checks and validates recall data 24/7 365 days per year. Even better is that you can designate who receives the notifications say for example your service manager. It really takes the worry out of overlooking a potential recall. Some of our clients use our program to build customer loyalty when they sell a used or new vehicle. They simply purchase a 2 year subscription for $2 dollars and change the email notification address for that particular VIN number to the customers email address. Pretty neat!